Joshua and I went blinds shopping for the office room and kitchen. As much as I love IKEA, sometimes they lack in very simple cheap stuff such as vinyl white blinds. 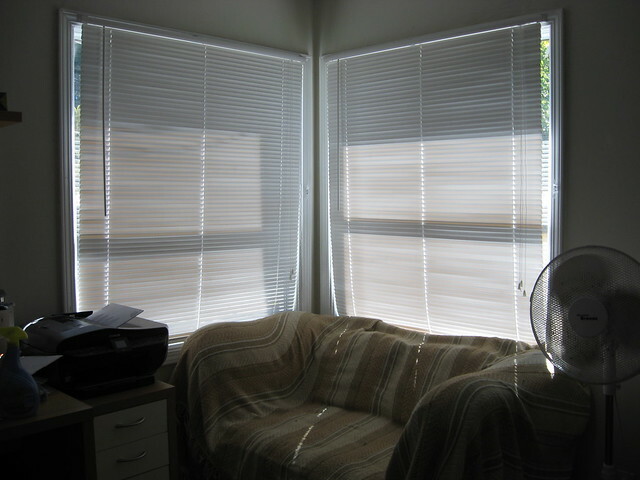 We ended up getting blinds for the office room from Wal-Mart and the ones in the kitchen from Target. Gotta love ‘em! Definitely makes a difference in the house.